ZTE completed an end-to-end voice-over TD-LTE (VoTD-LTE) call in partnership with China Mobile and Marvell Technology Group. 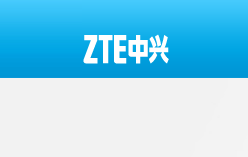 ZTE said the test represents the industry's first end-to-end VoTD-LTE call. The test was conducted on China Mobile’s network in Guangzhou, using 5-mode, 13-band smartphones powered by Marvell’s chipsets. At present, there are three main methods to offer voice services to LTE users: CS Fall Back (CSFB), dual standby and VoLTE. The CSFB solution requires operators to hand off voice calls to slower 2G or 3G networks. The dual standby solution requires terminals to support the 2G/3G and 4G services simultaneously, with the 2G/3G network dedicated to provide voice services. VoLTE is an IMS-based voice service, with voice transmitted as IP data, and can be entirely supported by the LTE network, without 2G or 3G networks. Compared with the CSFB and dual standby solutions, the VoLTE solution offers superior voice quality and lower latency, with improved energy consumption for terminals, delivering a better user experience for 4G services. ZTE said this testing will help accelerate the adoption of voice services on TD-LTE networks, and usher in the TD-LTE full-service era, aligning the TD-LTE industry with the FDD-LTE industry. As the development of mobile devices, TD-LTE wireless networks and IMS platforms become more mature, more VoLTE services will be deployed. ZTE carried a 400 Gbps wavelength over a distance of more than 5,000 km. The test used a WDM system with 100 Ghz channel spacing. Data was transmitted through 25 ROADM nodes without electrical repeaters. ZTE used a unique frequency algorithm to overcome signal degradation. In February 2011, ZTE transmitted a single-channel 11.2 Tbps optical signal. It also completed a 641-km transmission at 1 Tbps in standard single-mode fiber. 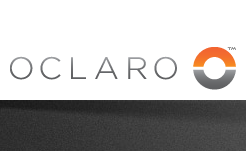 Oclaro named Greg Dougherty as its new CEO, replacing the retiring Alain Couder, who is also stepping down as the company's chairman. Oclaro's board of directors names Marissa Peterson as its new chair. "On behalf of the entire board, we thank Alain Couder for his contributions to Oclaro," said Marissa Peterson, chair of the board of directors, Oclaro. "Since joining the company in 2007, Alain has played an important role in transforming the company from a small optical component company called Bookham into an industry leader. As we look ahead, Oclaro's new CEO, Greg Dougherty brings significant operational experience in the optical industry. We look forward to working closely with Greg as we navigate through the current challenging financial situation." Greg Dougherty has served as an Oclaro board member since 2009. He previously served as chief operating officer of JDSU, and chief operating officer of SDL. Prior to Oclaro, Dougherty served as a director of Avanex from April 2005 to April 2009, when Avanex and Bookham merged to create Oclaro.